Made in miniature for this demo because a) it is easier to take pictures and b) the seams are shorter and c) it uses less fabric. 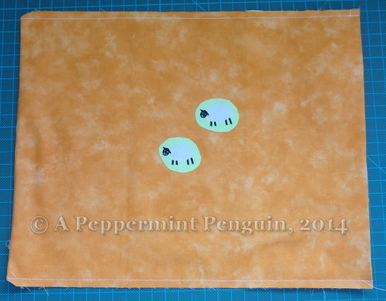 The weirdo sheep are there to show what would happen with a directional print. 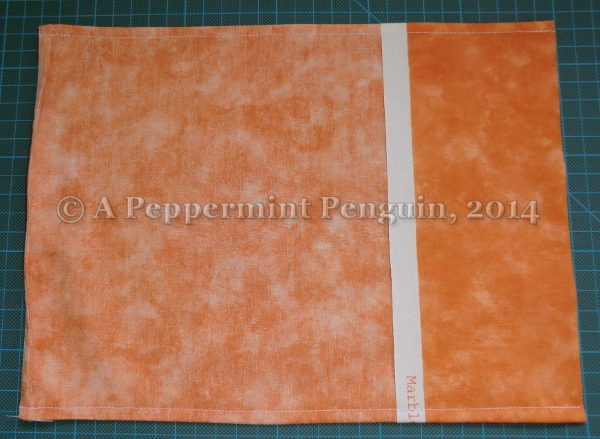 Assuming you are using quilt cotton, which is 105-110cm wide, you will need to cut two pieces. 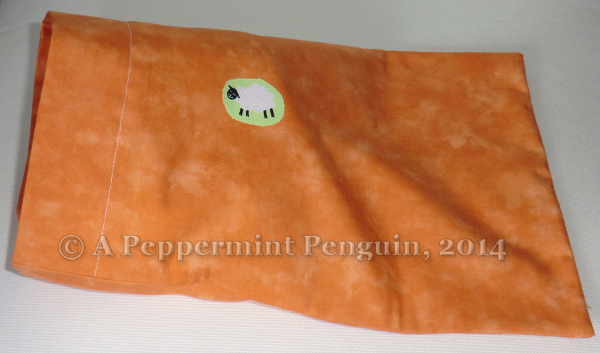 Also assuming the rightside of the pillow case has the flap and the opening is on the right. I started with finished size of 50x70cm and added a flap of 18cm, a hem of 5cm and used Seam Allowance (SA) of 1cm throughout. I used the selvedge for the flap edge, since it is usually nice and flat and prefinished, but if your fabric shrinks a lot and you have to cut the selvedge off, add 2cm to the flap and turn under twice as with the hem. The hem depth and flap size can be changed to suit your taste. My machine is kind to me and allows me to move the needle position to easily sew a .5cm seam. I have fanthy rotary cutters and rulers to make trimming seam allowances easy. ​Wash your fabric as you would your finished pillowcase, otherwise it may shrink after and you will have wasted all that effort. Press your fabric - this makes it easier to cut out, easier to sew and will set you up for pressing the seams as you go. ​Cut your fabric to the right size. Cut the long piece with the flap so it uses the selvedge on the right. Cut the shorter piece (with the hem) below that. Save the scraps, I'm sure they are useful for something. In picture below note the hem on the far left, the join, the join and the flap, with sheep right way up. 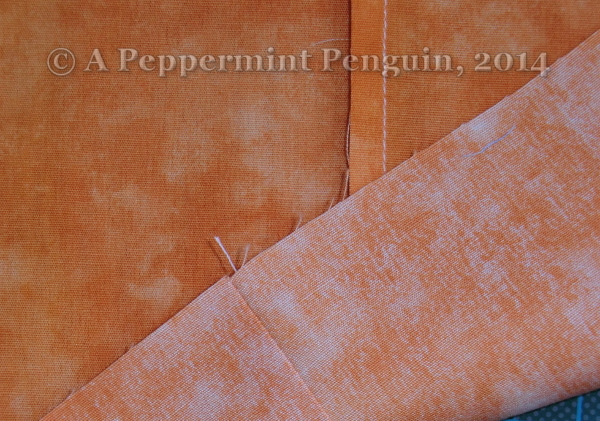 Press the Flap to the wrong side, single fold, the edge is finished by the fabric selvedge (here in white). Press the Hem to the wrong side. 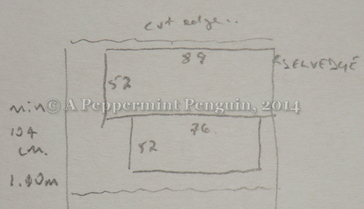 For a 5cm hem, first press 1cm, then 4cm to enclose the raw edge. Starting with fabric WRONG SIDES TOGETHER, (and laid out as per image, with hem on left and flap on right of picture - to keep sheep rightside up) join the two pieces with a French Seam. 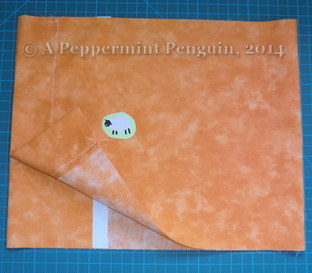 A .5cm seam, trimmed back before sewing the 2nd half, also at .5cm worked well. ​With pillowcase wrongsides together line up the raw edges. 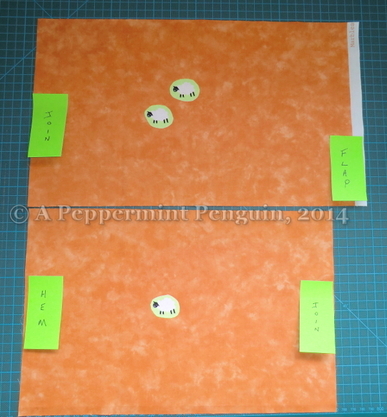 Ensure the flap is folded down neatly and the lower join is even, pressing helps. Stitch both sides with a .5cm seam. Trim back sides to about 1/3 to 1/2 of this SA, (rotary cutter made this easy, but it is quite possible with scissors just take your time). Trim the corners at the join edge at an angle to reduce bulk. You have, of course, been pressing each stage of the french seams as you go along. It really is essential to a good result. 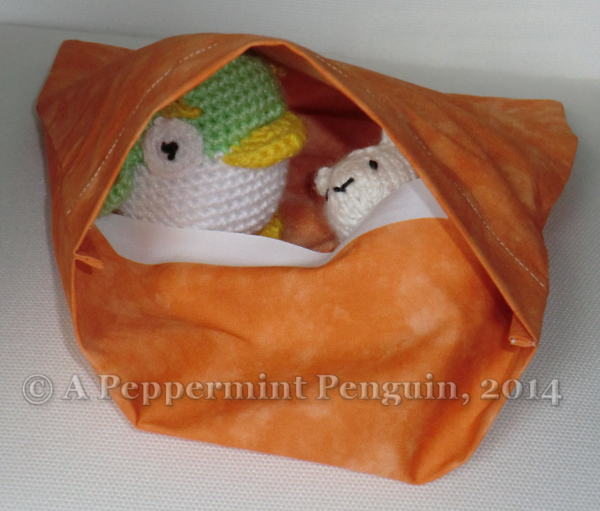 For this final step, turn the pillowcase wrong side out and carefully poke out the corners so that things lie flat. Roll the side seams between your thumb and forefinger to get the true edge and press. All that remains is to stitch the final seams down each side .5cm SA, turn right side out give it a final press and you are done! Congratulations you have made a pillowcase.